Autumn is my favourite backpacking time and in October I was fortunate enough to go backpacking in the Pyrenees. Along for this one week long trip through three countries was the Osprey Exos 48, a lightweight pack which carries extremely well. The Osprey Exos 48 is a lightweight backpack which carries loads up to 15 kg very comfortable. I found the 48 l of Volume enough for a week long backpacking trip with all my camera gear and Drone and think it would be an ideal backpack for people who look for a lighter backpack which doesn’t brake the bank. For all the details watch the video and read the review. 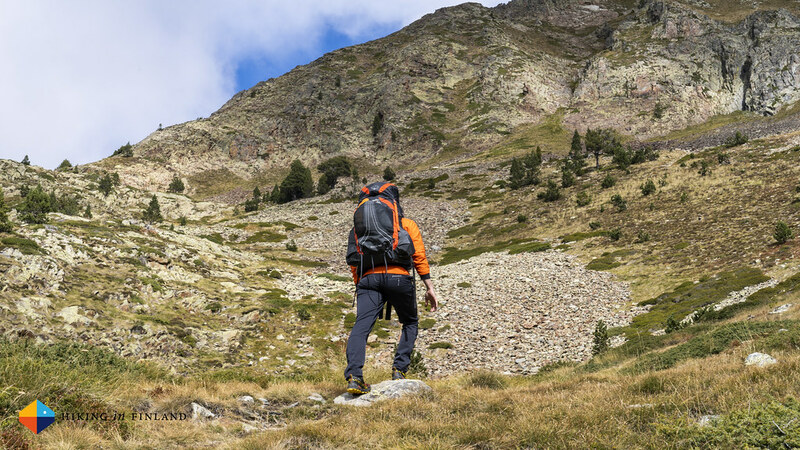 I received my Osprey Exos 48 in January 2018 and have used it on a several day trips and a week long backpacking trip in the Pyrenees of Andorra, Spain and France. Overall it has been used for close to two weeks. The function of a backpack is to carry your gear in comfort from A to B. 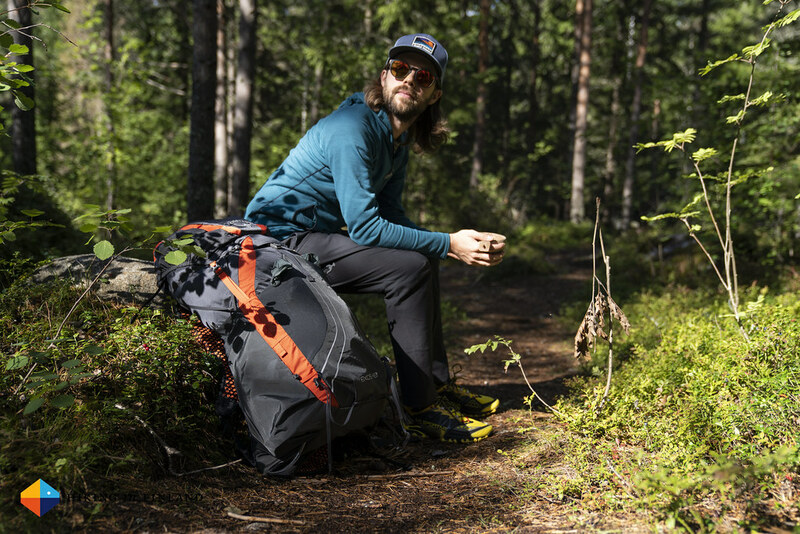 The idea behind a lightweight backpack is that it isn’t weighing 2+ kg empty, but significantly less, making the hiking part of a trip more comfortable. The backpack also should protect your gear from the elements and allow fast & easy access to important pieces of gear which you need on the go. There’s for me no technical innovations in this pack, though as the Exos came out several years ago it was one of the first lightweight backpacks with a ventilated back panel, and also the Stow-on-the-Go trekking pole attachment system was innovative back then. 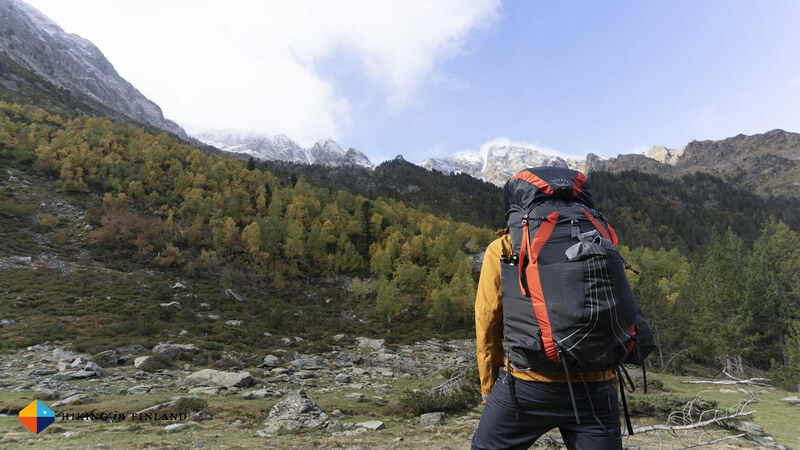 It is a very well made pack that surely will keep you happy for many, many hiking & backpacking seasons to come, and the 48 l Volume pack is great if you’re looking for one backpack which does it all - from day trips to one week long hikes in the backcountry. My Osprey Exos 48 in Back length L weighs 1.185 g empty, and the removable lid is 120 g.
So I have used the Exos 48 on my seven day backpacking trip through Andorra, Spain and France where I carried around 17 kg of weight at the start of the hike, that was with water, food for 7 days and around 6 kg of camera gear. It’s a lot of weight and as someone who really doesn’t like to carry heavy loads seeing that number is scary. However, the reality was that it was not so bad. In part the ExoForm shoulder straps and hipbelt are responsible for that, because they are so damn comfortable that even such a heavy load was acceptable to carry. With every meal consumed the pack also got lighter and hence it got easier and more comfortable to carry the backpack. 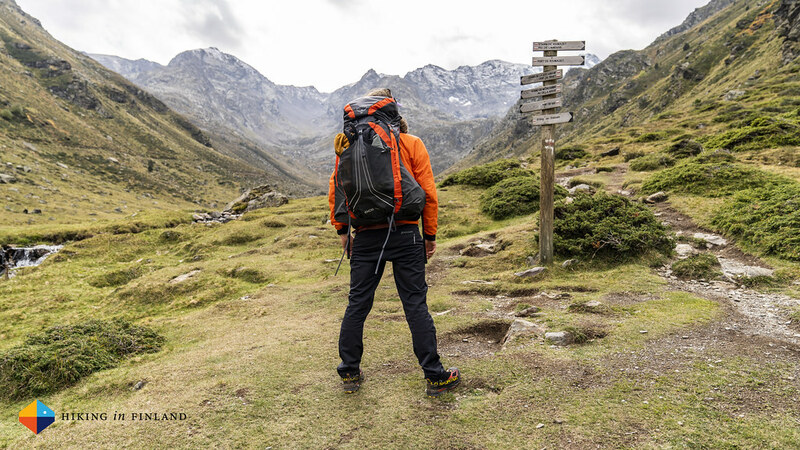 The difference between the Levity and Exos I have shown in an article in the spring and now, after a lot of use of both packs, I have to say that I find the Exos for my needs the better pack, even if it is 400 g heavier. What makes it better for me is not just the additional volume of the pack (that 3 l extra of the Exos means I can carry my camera gear a lot easier inside the pack! ), but especially the Stretchy Side Pockets of the Exos which are making it for me more useable. My friend Martin bought the Levity 60 after he read my review in the spring, but also the production model of that pack had not very stretchy side pockets (something that I complained about in my Levity review) and so I usually had to give him his water bottle and stow it away again. 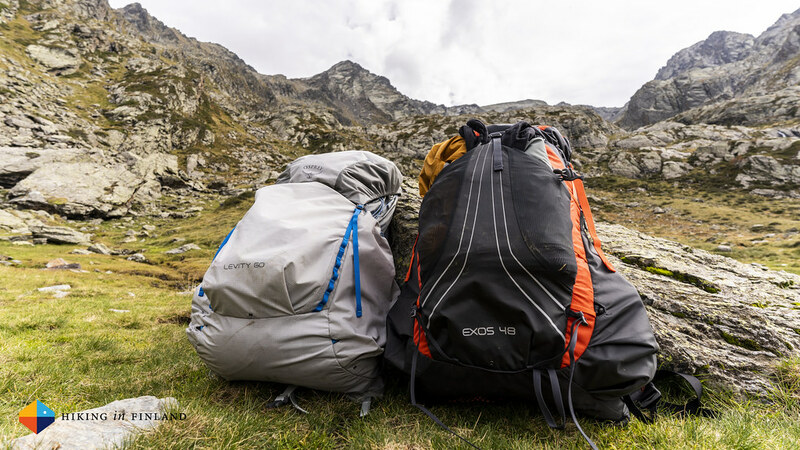 That’s not a problem if you hike with a friend, but if you hike Solo then it means stopping, taking the pack off, getting your water, packing it back and then putting the rucksack on again. With the Exos I can get everything in the side pockets while I move, which I really love. I also feel that the little bit of extra volume of the Exos makes it more versatile pack for most people. 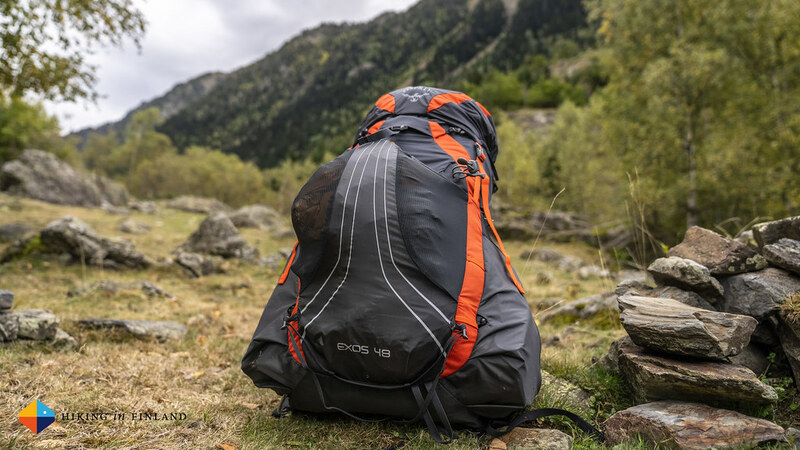 The 48 l pack can be used on day hikes and on one-week long backpacking trips, and also people who just start out with lightweight backpacking and own more bulky & heavier gear will find it easier to get it in the Exos and carry it in more comfort. I also liked that there were two lid pockets - that meant for me more organization as I could stow less important things like my Passport and keys, which I still want to keep close, in the Mesh pocket, while the more important stuff - phone, wallet, map, spare battery - goes in the top pocket. Funnily enough I’m flexible enough to also open and close the top lid pocket, which allows me to access the things in there with the backpack on my shoulders. 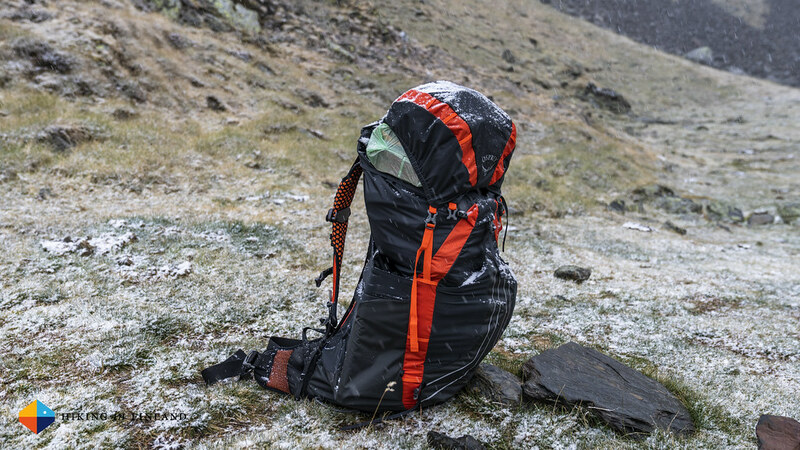 The Airspeed backpanel, compression straps, Ice Axe loop and other features of the Exos work well, and the pack also is highly water-resistant - at least during rain and snow all the content stayed dry, also without a rain cover. The material is durable and one doesn’t need to treat the pack super-carefully, and the shoulder straps accept the Peak Design Capture Clip just fine (it’s a tight fit, but it goes on there). I’d take the flap off which protects the drawcord closure of the main compartment when one doesn’t want to use the lid pocket. That probably will make the pack around 25 g lighter, and it won’t get in the way when one uses the lid. At 1.185 g in Size L the Osprey Exos is a fantastic backpack for people who come from a more traditional approach of backpacking & who are lightening up their load or for ultralight backpackers who want to have a backpack which carries really comfortably. The thick ExoForm shoulder straps make carrying loads of up to 15 kg an enjoyable affair, though the lighter the pack the more comfy it will be. I feel the ideal weight is around 12 kg with kit, food and water for this pack, so if that’s your usual weight with consumables you probably really will enjoy this pack. I liked the spacious and easy to access stretchy side pockets, the front pocket can swallow a lot of gear, and the two lid pockets helped me with keeping my stuff organized. I didn’t miss Hipbelt pockets at all, and could have done without the lid flap and Stow-on-the-Go trekking pole attachment thingy as I rarely use poles and always will use the lid, but other than that I found it an amazing pack. Add in that it’s fairly easy to find it for around 150€ or less and you’ll understand why it is such a popular backpack! 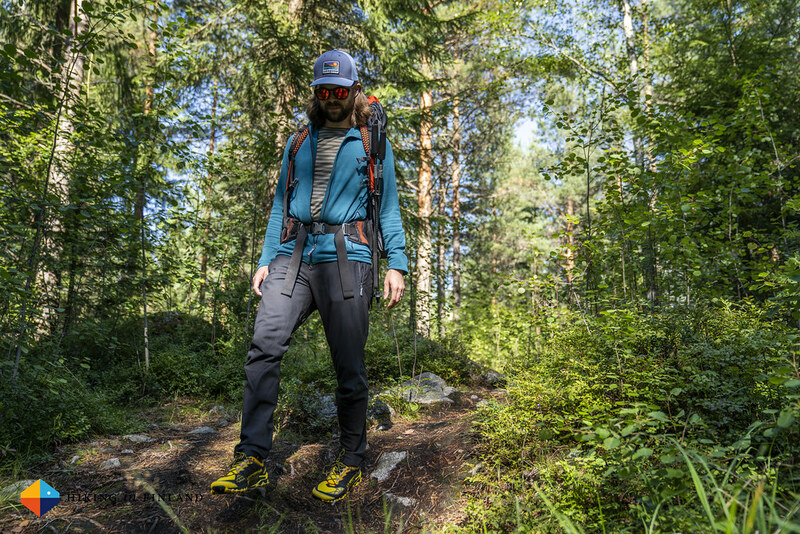 Get the Exos at your favourite local Osprey Retailer or online at Bergfreunde and Alpinetrek.co.uk in Europe. In North America order it at Backcountry.com (currently 25% off! ), REI, CampSaver.com, Moosejaw and Summit Hut. This are Affiliate Links.